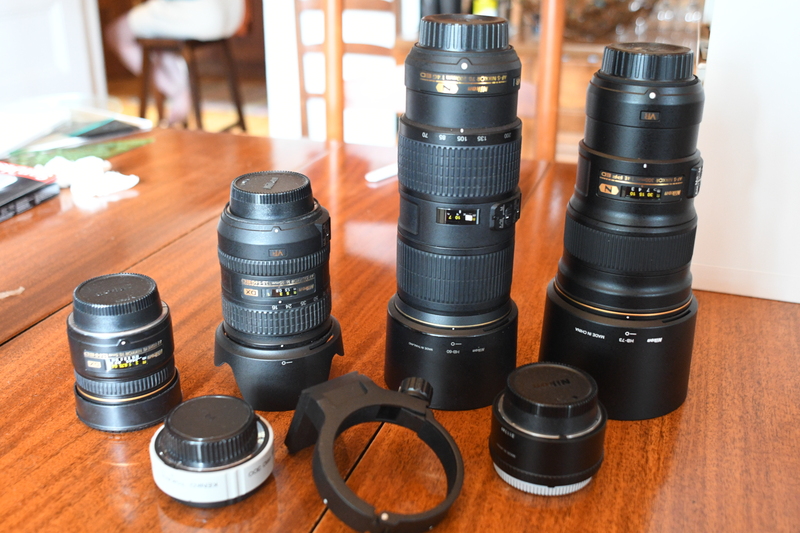 These are the camera lenses I’ll be taking to Alaska: 10.5mm fisheye, 16-85, 70-200 f/4, and 300mm f/4 lenses, all stabilized except the fish; 1.4x & 1.7x teleconverters; and a tripod ring that will fit either long lens. That’s coverage from 16 to 500mm plus fisheye. With camera all told it’s 9 pounds. But first a bonus photo: 500mm handheld has never been this easy.